Our team of ColdFusion developers have over 10 years of experience in retail, e-commerce, medical and government sectors. Whether it’s maintaining legacy code or developing a new web application, our team of ColdFusion developers can handle your project. 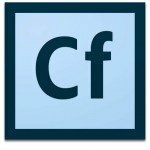 The ColdFusion programming language is known across the technical world as a capable and scalable product which allows developers to quickly build applications with less overhead than other similar languages. Our team has build applications for clients in a manner of weeks compared to months with other languages. With the supply of ColdFusion developers dropping and the demand increasing, we have the capabilities to fill the developer gap. We’ll work with your in-house team to achieve objectives, meet deadlines and infuse innovation into new and existing applications. Our team is ready and reliable for any ColdFusion project.